Baritone Andrew McLaughlin (Washington, DC) is increasingly praised for his artful interpretations of opera, art song, and concert repertoire. He has performed baritone roles in Ravel’s L’enfant et les sortilèges, Rossini’s Il Barbiere di Siviglia, Catán’s Florencia en al Amazonas, and Bizet’s Carmen. As a member of the Maryland Opera Studio, Andrew was a Reporter in the world premiere of Proto’s Shadowboxer, an opera based on the life and career of Joe Louis. He made his debut with the Capital City Symphony during their 2012 season in Mahler's Lieder eines fahrenden Gesellen, and in April 2013, Andrew joined the University of Maryland Repertoire Orchestra as the featured soloist in Orff’s Carmina Burana and in the world premiere of Debussy’s La Saulaie, a newly reconstructed poemé for baritone and orchestra. Most recently, Andrew had the honor of joining famed mezzo-soprano Frederica von Stade and maestro Timothy Long in "A Few Words About Chekhov" to close out the University of Maryland's Art of Argento Festival. Classical Singer Magazine said of the performance “McLaughlin masterfully portrayed the part of Anton Chekhov alongside von Stade.” In competition, Andrew has been a recent semi-finalist in the Joy in Singing, Florida Grand Opera, and Annapolis Opera Vocal Competitions and won second prize in the Kennett Symphony Young Artist Competition. He has been a member of the Aspen Music Festival and was twice an apprentice artist at Central City Opera in Central City, CO where he was the recipient of the Joshua Psuik Apprentice Artist Award. This summer, Andrew joined the Pine Mountain Music Festival in their summer gala series featuring the works of Giusseppe Verdi. This season, Andrew joins the National Philharmonic in their world premiere of Janice Hamer’s opera Lost Childhood. In November, the National Gallery of Art will welcome Andrew and the Maryland Sinfonietta for a concert featuring the works of Charles Ives and his 20th century contemporaries. Andrew received a Bachelor of Music degree in Vocal Performance from West Chester University or Pennsylvania and a Master of Music degree in Opera Performance from the University of Maryland as part of the Maryland Opera Studio. 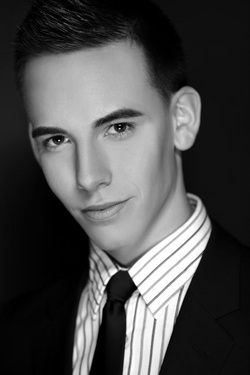 He has studied with celebrated baritones Randall Scarlata and Dominic Cossa.